The Wilderness Stewardship Certificate Program is overseen by its Board of Regents. The Board has up to seven members, two from each of the WSCP partners and one at-large member. The Board is responsible for advising on the administration of the Program and ensuring a standard of high quality for the Program curriculum and outcomes. Dr. Robert Dvorak is an Associate Professor in the Department of Recreation, Parks, and Leisure Services Administration at Central Michigan University. Bob’s professional teaching and research interests include wilderness and protected area management, examining visitor use issues in parks and wilderness, and understanding the relationships and attachments people form with wilderness and protected areas. He is managing editor of the International Journal of Wilderness and a Society for Wilderness Stewardship Board member. He also maintains credentials as a Wilderness First Responder, American Canoe Association Canoe instructor, and Leave No Trace Master Educator. 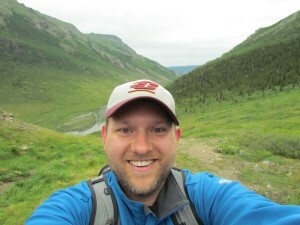 Tim Devine is the Branch Chief for Training and Development within the NPS Wilderness Stewardship Division and the NPS Representative at the Arthur Carhart National Wilderness Training Center located in Missoula, Montana. Tim coordinates and implements face-to-face interagency training courses and unit workshops, develops online wilderness stewardship training courses, and responds to wilderness information needs thru personal contacts and Wilderness.net. 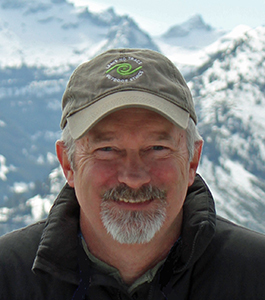 Tim has over 30 years of NPS experience at variety of wilderness parks including Shenandoah, Everglades, Big Cypress, Buffalo River, Mount Rainier, Olympic and Rocky Mountain. 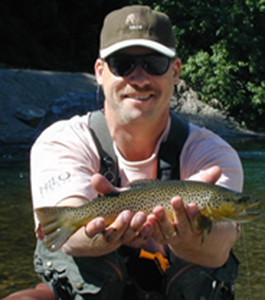 He is a recipient of the NPS Director’s Wes Henry Excellence in Wilderness Stewardship Award and the Rocky Mountain National Park Jack Moomaw Award for “Excellence in the Art of Rangering.” Tim has an AAS degree in Recreation and Wildlife from Hocking Technical College and a BS in Wildlife Management from The Ohio State University. At home, Tim enjoys being outside with his family, playing with the family cats, dogs, goats and horses, camping, hiking and skiing in the wilderness. Mr. Wolter’s role as Executive Director of the Eppley Institute involves leading major programs in technical assistance, research, training and education, and planning for Indiana University. He has more than thirty-five years of experience in the training and education of students and professionals in the parks, recreation, and public lands field. His parks management experience includes facilities management, urban and regional planning, restoration and stewardship of sensitive public lands, and eco-tourism. He has served as project manager in the development of master and strategic plans, needs assessments, and training development plans. While directing the Eppley Institute, Mr. Wolter also teaches graduate leadership, philanthropy, planning, public policy, and conservation classes in his role as Assistant Professor at Indiana University, Bloomington. Ray O’Neil has been a park ranger with the National Park Service for the past 28 years. During the summer of 2015, he transitioned to a new position as the Chief Ranger and wilderness coordinator of Saguaro National Park. 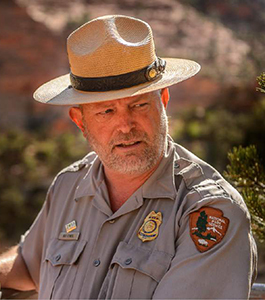 Prior to Saguaro, he was the Plateau District Ranger and wilderness coordinator at Zion National Park for 10 years. During his time at Zion, he was the team lead as the park completed a wilderness stewardship plan and wrestled with issues surrounding carrying capacity, public safety, acceptable risk, and the burgeoning sport of canyoneering. His duties have taken him to a variety of areas including Grand Canyon NP, Canyonlands NP, Denali NP, Shenandoah NP, Kings Canyon NP, Everglades NP, Katmai NP, New River Gorge National River, and Tonto National Forest. Ray was the 2014 recipient of the National Park Service Wes Henry Excellence in Wilderness Stewardship Award. Heather is the Executive Director of the Society for Wilderness Stewardship. She grew up in Northwest Washington and Hong Kong, both of which gave her an appreciation for wilderness and solitude. 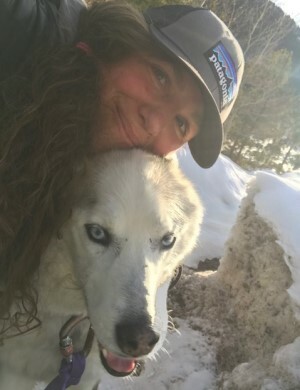 She received her Bachelor’s Degree in Environmental Studies from the University of Montana, and from there embarked on a 10-year adventure in public land and Wilderness stewardship with conservation corps across the West from Arizona to Alaska. She worked with the Washington Conservation Corps, Rocky Mountain Youth Corps in Steamboat Springs, Montana Conservation Corps, Youth Corps of Southern Arizona, Southwest Conservation Corps in Tucson, and Southwest Conservation Corps in Salida. Her last position in corps was as the founder and Executive Director of the Southwest Conservation Corps in Salida, Colorado. Heather left corps work to pursue her Masters of Natural Resources through the University of Idaho and work with the Colorado Mountain Club as the Lands Director. Through these positions, Heather worked with many Wilderness Areas, including: Buffalo Peaks, Collegiate Peaks, Sangre de Cristo, Great Sand Dunes, Spanish Peaks, South San Juan, Weminuche, La Garita, Admiralty Island, Glacier Bay, Wrangell Saint Elias, Misty Fjords, Kenai, Organ Pipe, Chiricahua, Gila, Saguaro, Rincon Mountain, North and South Maricopa Mountains, Superstition, Carlsbad Caverns, Guadalupe Mountains, Selway Bitterroot, Rattlesnake, Mission Mountains, Bob Marshall, Mount Zirkel, and High Uintas. Heather is highly dedicated to the professional stewardship and management of Wilderness. She sees this as the key to allowing Wilderness to do what Wilderness does best – facilitate life-changing experiences and maintain important ecological systems, both of which provide essential support for, and strengthen, our communities. Andrea Gehrke joined the Carhart Center in 2017. 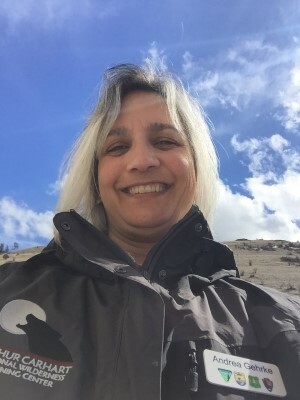 During her Forest Service career, she has worked in various roles in Recreation, Information Management and Administration as well as studies in Natural Horsemanship and Equine Assisted Corporate Learning, which incorporate emotional intelligence training, adult learning techniques and problem solving. Prior to coming to the Carhart Center, Andrea served as the Deputy Director of Recreation, Heritage and Volunteer Resources in Washington D.C. Andrea holds a B.S. in Forest Resource Management with an emphasis in Forest Recreation Resources from Oregon State University.